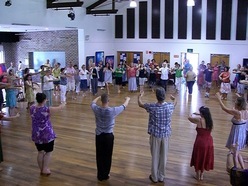 Central to the artistic expression of Spiritual Science, stands Eurythmy, or Life Movement as it has come to be known in Australia. 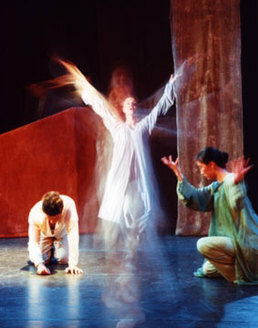 Conceived in 1912 in response to the demands for a new Art of Movement, Eurythmy – a sister art to dance and mime – is founded on the spiritual wisdom of the human being. Reflecting the voice of the cosmos (the Logos) in nature and in humanity, it makes visible – in movement, gesture and form – the sounds and rhythms of speech and tone. Rudolf Steiner then adapted it to serve the needs of children at the Waldorf School in Stuttgart, Germany and developed a Eurythmy learning program for each grade, addressing the physical, emotional and mental growth of the different stages of child development. As it helps children increase concentration, focus, co-ordination, spatial and social awareness as well as self-control, educational Eurythmy is fundamental to Steiner Education and is taught to every student and teacher in all Waldorf schools throughout the world. Also, presentation of class work in Eurythmy to parents or to the school community encourages pride in the achievement of shared aims to the best of one’s ability – both as an individual and as a member of the group – and leads to enhanced self esteem. It is therefore encouraged at Shearwater where possible. For more information see Eurythmy in the Kindergarten curriculum. You can also read more about the professional Curative Eurythmist working at the School also available for private tuition.